We keep a few memberships to keep our camp costs down. While we don’t always look for a campground to stay the night, we still think it’s a good idea to keep your options open. 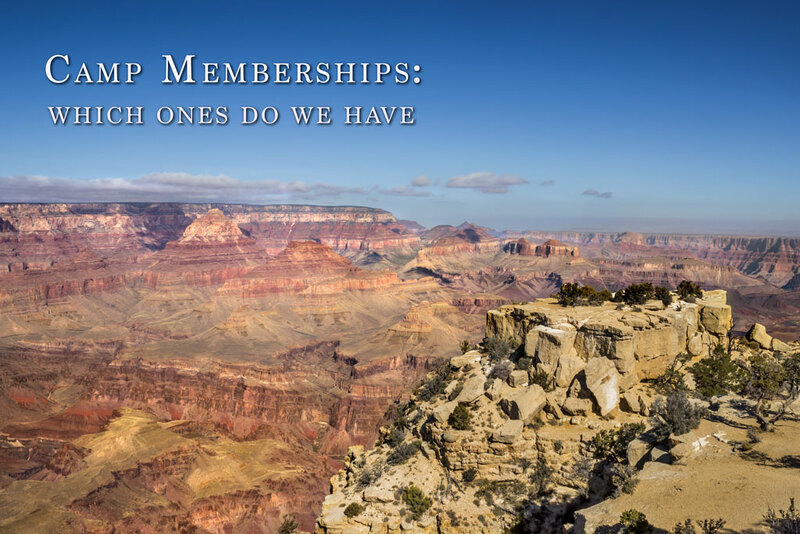 We also like to keep the membership costs to a minimum, so these are all under $100 each. If we get anything new we will add to the page. The National Parks Annual Pass is a no brainer. It is currently $80 for an Interagency Annual Pass. This pass will get you into any National Park, National Monuments, and allows you to use National Forests without paying a use fee. It also gets you discounts on camp sites within each of these locations. We bought this pass when we went to Breckenridge, Colorado from Laguna Beach, California. We went to 6 National Parks on the trip, each of which would have cost $25 to enter, so we saved $70 and we got to continue using it for a year. It just expired the end of November. I don’t have exact numbers, but we used it at least 5 more times this year. We will be renewing it the next time we are at a location we need it. We do recommend buying it at a park when you get there. It is good until the end of the month 12 months from when you purchase it, so getting it at the beginning of the month is like getting an extra month free. Here is a short list of the locations you can buy one physically: pass purchase locations. I was exaggerating when I said short, obviously. This is also a list of places you could use it and this doesn’t even cover non-staffed locations. If this doesn’t convince you purchasing would be worth it then nothing will, hehe. Harvest Hosts is a network of wineries, farms and agri-tourism sites that invite self-contained RVers to visit and stay overnight for free! Harvest Hostsprovides the opportunity to travel to new areas, have unique experiences and enjoy purchasing locally grown and produced products. There are not a lot of locations around Southern California so we have only had the chance to use it once in 2014. But you can be sure we will be looking to use it 2015 when we start cross country. For the price you can’t beat it. $40 for one year, $100 for a three year membership and $300 for a lifetime membership. Most of the host sites are wineries if you’re into tasting. We aren’t big wine drinkers but we would love to stay at a farm and get some fresh food or play with the animals. 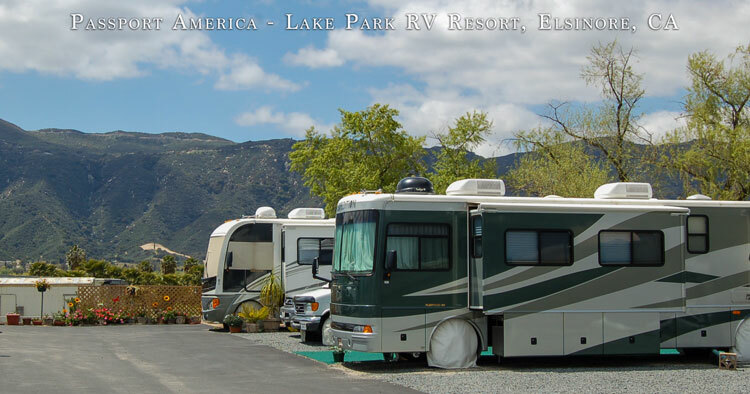 Passport America is a club membership that gets you 50% discounts to over 1900 campgrounds accros the US, Canada and Mexico. Membership is $44 a year. When we are looking for full hookups we always do a search on Passport America to see whats available in the area. Getting a full hookup location for $15 – $35 is a great ease on the pocketbook, and makes us very happy. We highly recommend calling before you show up to make sure the campground is accepting the discount for the time you would like to be there and what the limitations are. Usually there is a maximum number of days you can stay at the discounted rate. Technically, we didn’t buy this to lower our camp cost, it kinda is a side bonus for discounts at the store and gas for us. Good Sam Club gets you %10 discount on camp costs at 2,100+ Good Sam RV Parks and Campgrounds. It also gets you 3-6 cents per gallon discounts on gas/diesel at Pilot and Flying J Travel Centers. 25% discounts on LP (propane) gas the stores on Tuesdays and Wednesdays. Plus you can save up to 30% at Camping World, the original reason we got it. Plus access to a ton of other benefits. The gas discount could likely save you more money in the long run than the camping discount. Camping World is a great store to shop at too. We can’t seem to get out of there without buying something. It was $25 for the year membership, and you can usually get a discounted renewal if you look for it.